The American Health Council is proud to welcome Jeremy Orr, MPAS, PA-C to its Board of Physicians for his outstanding contributions to the medical field. NEW YORK, NY, May 18, 2018 /24-7PressRelease/ — The American Health Council is proud to welcome Jeremy Orr, MPAS, PA-C to its Board of Physicians for his outstanding contributions to the medical field. 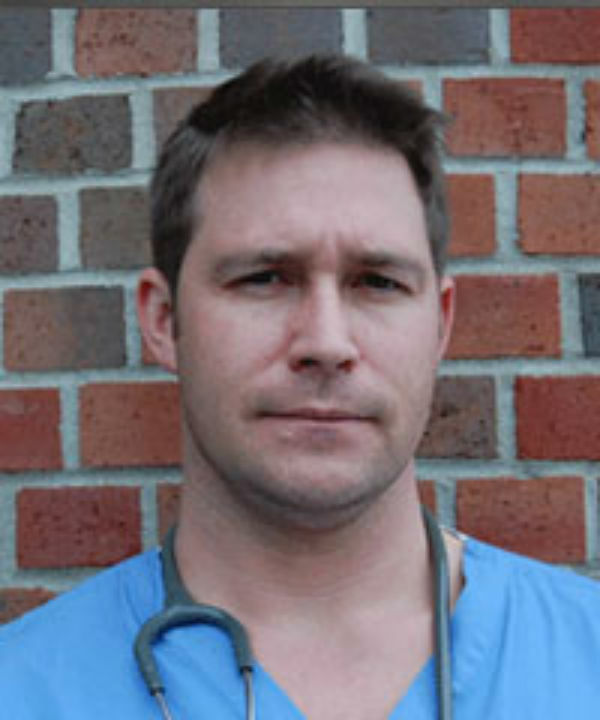 An emergency medicine physician assistant at Central Vermont Medical Center — a health care provider within the University of Vermont Health Network — in Berlin, Vt., Mr. Orr provides immediate care to patients in the emergency department. While he has held his current role for over 9 years, he has spent the last 17 years in the healthcare industry expanding his expertise in emergency medicine. Growing up on a farm, Mr. Orr developed a strong work ethic when he was younger. He wished to pursue a career in a field that would enable him to continue to apply a hard-working mentality, so he enlisted in the Vermont National Guard. While in the service, he weighed his options regarding a long-term profession, and finally decided to enter the medical field as he liked the scope of practice within the field. While taking an Interservice Physicians Program through the Armed Forces at the University of Nebraska, Mr. Orr earned a Master of Physician Assistant degree in 2000. In March 2005, Mr. Orr was deployed to Iraq — where he immediately put his skills to the test. While stationed in Najaf, a city considered to be the third holiest Islamic site by the Shiites and located about 100 miles south of Baghdad, Mr. Orr ventured to neighboring cities and villages to carry out humanitarian missions. Although Najaf was relatively quiet at the time, he and his fellow soldiers would often perform medical check-ups on locals for both war-related and indigenous-related illnesses and injuries. He treated patients suffering from burns, amputations, infections and congenital birth defects. But when a 7-year-old girl and her mother visited the base with a severe defect, Mr. Orr immediately sprung to her aid. She was born with her bladder on the outside of her body — Mr. Orr knew her condition could not be repaired on base and promptly sought a pediatric urologist in the United States with the help of Palestine Children’s Relief Fund Founder Steve Sosebee. After the duo located a doctor at the Children’s Memorial Hospital in Columbus, Ohio, Mr. Orr began raising funds to transport the girl and her mother to the U.S.
After hanging flyers around his base, Mr. Orr raised $6,000 — $3,500 more than he needed to fly the pair to Ohio. Eight months later, the girl traveled to Ohio and received a successful operation. After spending less than a year deployed overseas, Mr. Orr returned to Vermont in Jan. 2006 with a strong determination to continue to help children in Iraq. He founded the Iraqi Children’s Relief Fund in 2006, an organization that directly benefits children and families in Iraq, and simultaneously explored a profession as a physician assistant. Eventually, Mr. Orr landed at the Central Vermont Medical Center, where he continues to treat patients with acute conditions and emergency cases. He takes pride in his patient-centered care and aims to build trust between himself and his patients. To ensure that he remains up-to-date with the evolving medical field, Mr. Orr is a member of the American Association of Physician Assistants and the Physician Assistant Academy of Vermont. He plans to continue to excel his career by completing an Emergency Medicine Certification at the Catholic Medical Center and continued to teach as an adjunct professor in the Franklin Peirce University’s Physician Assistant Program.